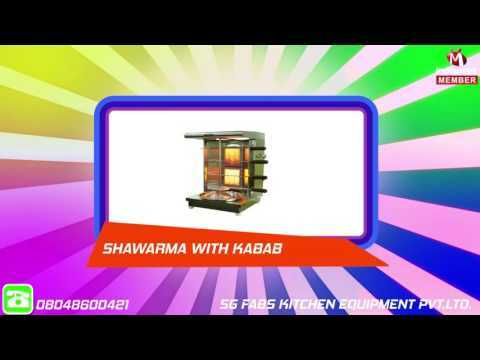 Established in the year 1997, we, "SG Fabs Kitchen Equipment Pvt Ltd" are an noted organization engaged in manufacturing, supplying, importing and exporting a comprehensive array of Kitchen Equipment, Food Processing Machineries and others. We also provide the offered array in customized form. Our products are tested several times on well-defined parameters by our team of quality auditors, enabling us to deliver flawless range. With the support of our experienced and dedicated team of professionals, we have succeed in becoming a reputed organization in the market. With the aim to serve our esteemed clients with a error-free range to our, we are associated with the famed vendors of the market from whom we procure all the products. Further, post manufacturing, we make these pass a quality test to ensure these give reliable performance, have resistance against corrosion & abrasion, longer service life, sturdy construction and seamless finish.